When you are on the go, missing your favorite morning brew can spell the difference between a good and a bad day. 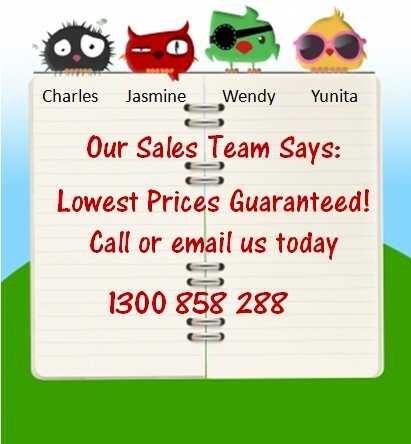 This is the reason why travel mugs are growing more and more popular especially as promotional merchandise. 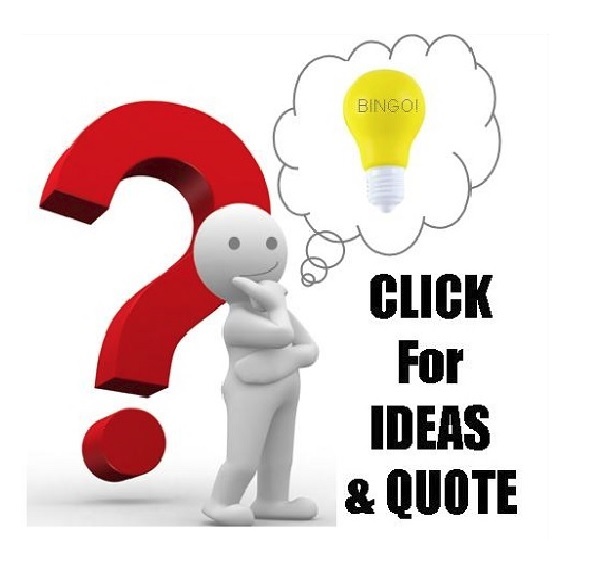 - Size: consider a size which will fit most cars’ cup holder. Although some people can drive with one hand, it is still not safe to hold a travel mug while driving. The bigger/wider size cups would probably be recommended for people who ride the subway or the train to work. 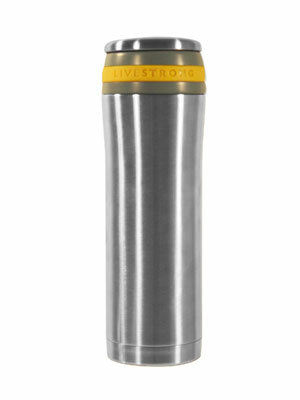 Or, you can opt to choose taller travel mugs if you are after larger capacity. 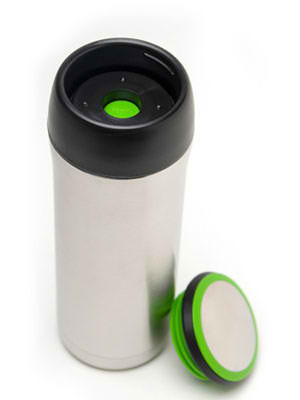 - Cap: choose travel mugs which have a screw on cap versus a snap-on but still feature a close/open flip on top for easy sipping. Again, it is not advisable to choose a design which requires you to use both your hands. Make sure the sipping flip/lid latches on into place to avoid spilling. 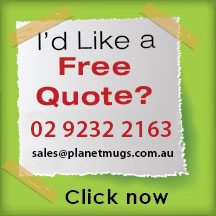 - Handle: some travel mugs are too wide to hold properly which is why a handle comes in handy. 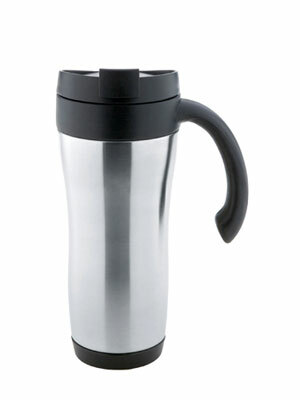 Also some travel mugs tend to be slippery especially when the material is smooth like stainless steel. 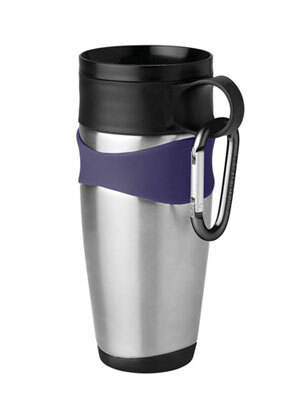 - Accessories: there are travel mugs which are perfect for the outdoors and come with attachments such as carabiners. 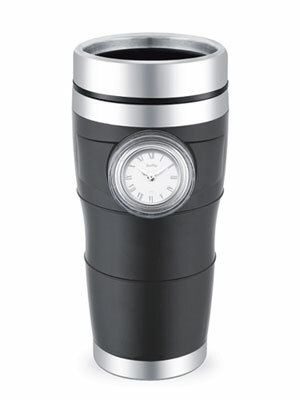 There are even travel mugs which come with a clock!